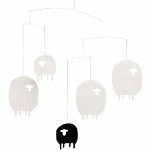 Four white and one black sheep. Count these and you will fall a sleep. 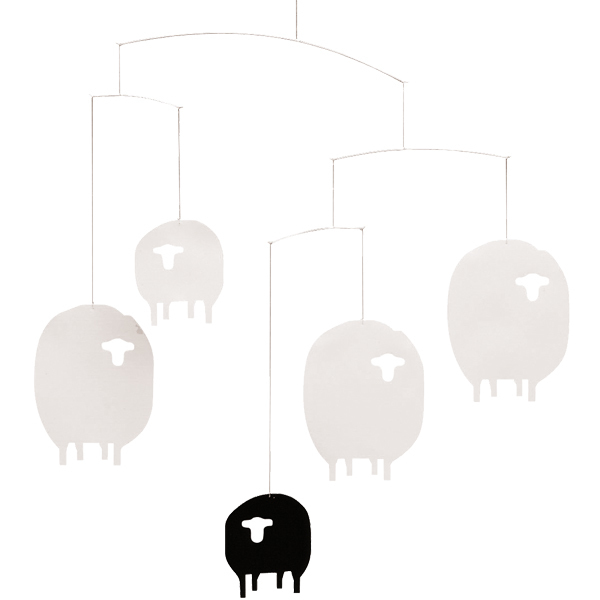 The fun Sheep Mobile by Christina Parrett and Ole Flensted is a perfect gift for a child.